Origo.hu collected the most important pieces of information that can make the Christmas holiday less stressful for everyone. In this article, you can gather information about the Christmas schedule of the Hungarian State Railways (MÁV) and the VOLÁNBUSZ Transport Company Ltd., and also about the opening hours of pharmacies and shopping centres during the holiday. 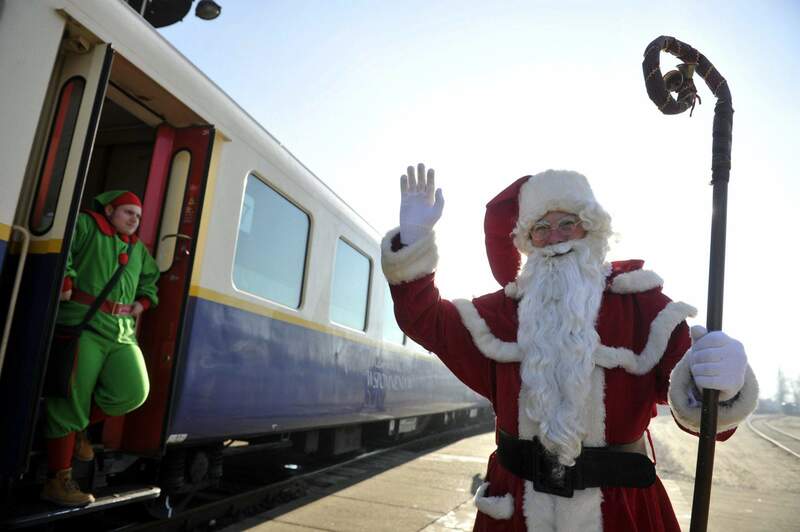 During the Christmas holiday, the number of passengers travelling by train increases significantly. Last year, between 24-26 December, approximately 300,000 people used the services of MÁV. When the winter holiday starts at schools, most passengers travel on the Budapest-Debrecen-Nyíregyháza, the Budapest-Miskolc and on the Budapest-Győr lines which are unusually crowded. However, it is only on three days that the schedule of MÁV is changed during the holiday. Between 24-26 December, Sunday schedule applies to train services. However, on 31 December and on 1 January, further changes are to be expected. Holiday schedules apply on New Year’s Eve, while on 1 January, trains operate on Sunday schedule. From 2 January onwards, all services are going to operate on normal schedule. Due to the anticipated increase in the number of passengers travelling at that time, the railway undertaking provides extra compartments to the passengers on InterCity trains. Furthermore, they try to call the attention of passengers to purchase their tickets online to avoid the long queues and pay special attention to their valuables at the stations and on the trains, too. The VOLÁNBUSZ Transport Company Ltd.
On 24 December, the last buses depart from Budapest around 4 p.m., but further information on schedules can be checked out here. Between 25-26 December and on 1 January, early buses do not operate. Please be aware that during the school holiday, some bus services operate on reduced schedules. Therefore, it is highly advisable to check the timetables in advance or get further information about them by calling the information line of VOLÁN (+36-1/382-0888). VOLÁN also encourages people to purchase their tickets online to save time and avoid the long queues. BKK will be providing public transport services at the end of the year as usual, but with more convenient schedules on some lines. On 24 December, night transport services start after 15:00-16:00, while the airport buses (direct airport-city shuttle 100E and airport bus 200E) run as usual. Public transport services operate per public holiday schedule during the Christmas holiday followed by end-of-year schedules. On New Year’s Eve, night services will be running more frequently and as a first this year, the hours of operation on metro lines M2, M3 and M4 will be extended, so that the last trains leave the terminuses at 1:00 in the morning. Line M3 will be operating all day between 23 December 2017 and 2 January 2018 between Lehel tér and Kőbánya-Kispest stations, but from 3 January 2018 the replacement schedule will be back in effect. BKK advises customers travelling on Christmas Eve to plan their trips with the help of the BKK FUTÁR journey planner or to check the timetables on the BKK website. Just like in previous years, parking will be free in public parking spaces from 20:00 on 22 December 2017 until 8:00 on 2 January 2018. The busiest period of the year commercially is the last two weeks before Christmas. According to the previous estimation of the National Association of Trading (OKSZ), Hungarian families spend at least 3-4% more on Christmas presents than in the last year. As far as the opening hours are concerned, on 4 December, shops are open until 2 p.m., but merchants can decide to close earlier or not to open at all. On 31 December, it is also the proprietors who decide upon the opening hours. Usually, shops close between 2-4 p.m. on this day, but on 1 January, most of them stay closed. During the Christmas holiday, you can use the services of the pharmacy designated to be on duty. On 24 December, pharmacies are usually open until 2 p.m., while on 25 and 26 December, only the pharmacies on duty are going to be open. The name and contact numbers of the store on duty are displayed in the shop windows of the pharmacies, but you can also check them out on the website of OGYÉI here. Hungary: Why can it be an awesome honeymoon destination?